Starglaze took delivery of a revolutionary new PVC welder this week, the machine will change the face of the PVC industry and we are proud to have the very 1st one in the UK. 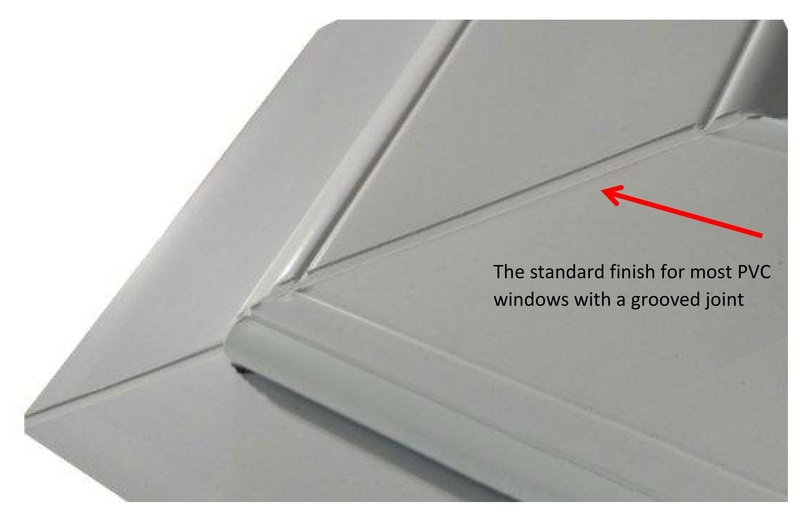 Currently most PVC windows are finished with unsightly grooved corners, the grooves are used to remove the plastic sprue which is created when the sections of frame are heated and welded together. 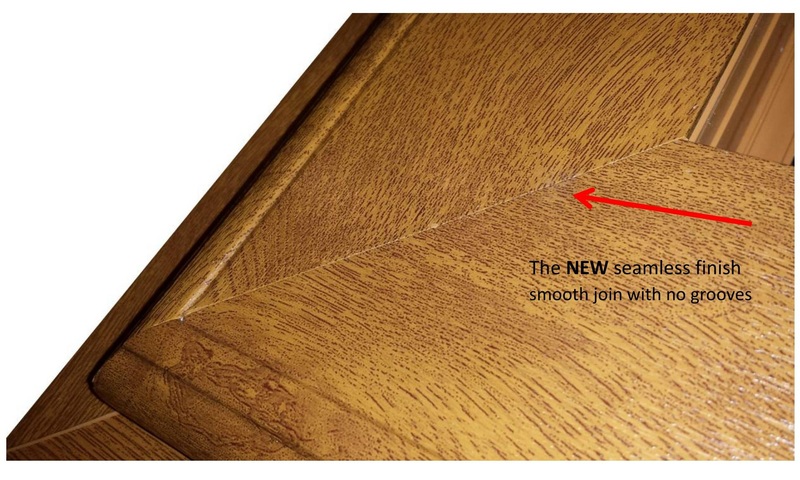 This new machine actually pushes the excess plastic inside the chambers which means that the frames do not need to be grooved resulting in a seamless joint as seen below. Not only does this make the windows more attractive to look at but due to some clever technology the weld strength is also greatly increased.